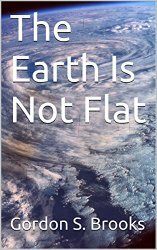 You might be forgiven for assuming that the title of this book is a metaphor for the poor state of scientific literacy in the world today, because, for all that we, as a society, don't know about science, even as we enjoy its fruits on a daily basis, no one really believes that the Earth is flat. Alas, no such luck. Not only are there people who believe the Earth is flat, but there are people who adamantly declare that everything you've been taught about our place in the Universe is not only wrong, but the Big Lie, the vast conspiracy to hide the Truth from us. If you haven't encountered the world of the flat-Earthers yet, you're in for an eye-opener. Here you'll find the arguments that the flat-Earth proponents make, from the almost reasonable to the truly bizarre. The purpose of this book is not to prove that the Earth is a globe; 2600 years of science has taken care of that. It is, instead, to provide a glimpse into the propagation of a pseudoscience, and to explore why it matters. This book is available in print and on Kindle from Amazon.com.